Am I covered by FELA or workers’ comp? I get that question all time and the answer is: Railroad workers aren’t covered by workers’ compensation and here’s why you should be glad. Last week three new clients told me that they wish they were covered by worker’s compensation instead of FELA. When I asked each of them why, the answer was, “I’d get paid faster and probably just as much.” I had to tell they were wrong. Since the questions about FELA vs workers comp come up so frequently, and because the workers are so misinformed by the company, I figured it was worth writing about here. The good news is that though railroad workers don’t get workers comp, FELA offers better coverage 90% of the time. 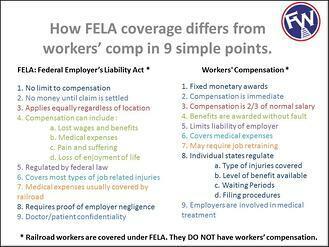 First, FELA, which stands for Federal Employer’s Liability Act, provides a much more complete remedy than the traditional workers' compensation system. 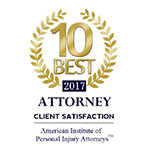 For the most part, workers' compensation benefits tend to be fixed and arbitrary, and to grossly under-compensate injured workers. 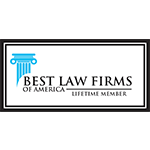 For example, under workers' compensation, an injured employee receives only partial wage reimbursement benefits and nothing for pain and suffering. Under the act, however, an injured railroad worker can recover all of the damages traditionally associated with a law suit, including all of his or her lost wages (straight and overtime) and benefits (past and future), medical expenses (past and future), pain and suffering, and loss of enjoyment of life. Here is a real life example of why Workers’ Compensation is NOT better than recovery under FELA. My client John was 30 years old and on his first day as a permanent employee with the railroad when he was permanently injured pulling pin spikes in a tunnel. John, whose name has been changed for privacy, was using a claw bar and a half washer, a technique created by the railroad. It was a tough spike, and he and his partner did what they had been trained to do, muscle it out. But the spike head was corroded, and the heat-treated washer popped through in an instant. Less than half a second later, John was on his knees clutching his right eye. In the ambulance and at the hospital, John was told they did not expect to save the vision in that eye. After the accident, John learned the railroad had a hydraulic spike puller which I said could have been used in lieu of the manual technique. When the washer hit John’s eye it sliced it open from 12 o’clock to 3 o’clock which led to five surgeries, 29 weeks lost work and a net loss wage loss of $27,000. What’s worse, John has lost some vision in his right eye and along with it, the ability to practice competitive mixed martial arts, which he did as a passionate hobby and a money earning side job. What’s more he faces a higher chance for glaucoma and blindness, and more surgeries. You can read the full write up of his case here, but what makes this a great example of why FELA served him better than worker’s comp is this: John received $3.75 million for his permanent injury when I sued under the act. Under workers’ comp he would not get any wage loss beyond the 2/3 pay for the 29 total weeks he missed work. 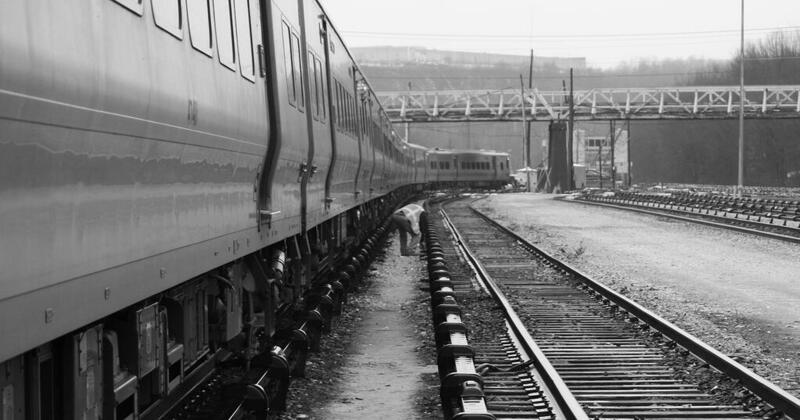 Here’s a key difference between the act and workers’ comp: To recover damages and lost wages under this federal act, the injured worker must first establish some negligence on the part of the railroad. In the above case, I was able to show the jury that the railroad had a better, safer tool and chose not to use, and that it didn’t provide safety goggles, which were in use in other places and could have prevented the injury. Again, this differs from workers’ compensation laws which do not require the employee to prove negligence. This is where the 10% comes in. If you were wholly responsible for your own injury, or it was a truly freak accident that could never have been foreseen so the railroad could never be deemed to have even 1% responsibility, then workers’ compensation, as a no fault system, is better in that limited circumstance. However, the amount of negligence that must be demonstrated under the act is slight. Essentially, the worker needs to establish that the railroad failed to provide him or her with a reasonably safe place to work. 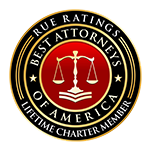 To learn more about the mechanics of filing a FELA lawsuit against the railroad, read this post: A Railroad Worker’s Guide: 7 Basic Steps of a FELA Lawsuit. What if it’s a little bit your fault and a little bit of the railroad’s? FELA also has provisions to deal with situations in which a worker's own negligence may have combined with that of the railroad to bring about the injury (a principle known as "comparative negligence"). Basically, if a railroad worker is found to be partly responsible for an accident, any damage award will be reduced by the workers' portion of responsibility. For example, if a jury decides that an injured worker is entitled to a total recovery of $100,000 (for lost wages, pain and suffering, etc. 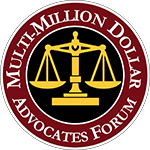 ), but also decides that the worker was himself 25% responsible for causing the injury, the ultimate recovery by the employee would be $75,000 – the jury's $100,000 verdict minus 25% of that amount for the employee's own contributory negligence. Exception: In some cases where the railroad has violated a federal railroad safety law, such as the Safety Appliance Act or Locomotive Inspection Act, there is no reduction for contributory negligence, even if the accident is mostly the employee’s fault, and the railroad will be liable for all damages. The railroads have long argued that the FELA is bad for workers because there are some employees who get no money from a jury at trial, who nonetheless would have received money under workers’ compensation. Again, this only occurs where the railroad is wholly without fault or where the employee and attorney overplay their hand and get greedy as to the amount of money sought, beyond what the facts justify. In the case of my client the spike puller, what would he get under a workers’ compensation system? Since he returned to work full duty he would not get any wage loss beyond the 2/3 pay for the 29 total weeks he missed work. No pain and suffering for the surgery. No compensation for living with the pressure of going blind for the next 44+ years. His eye is permanently injured. The railroad thought so little of his claim that it never offered a single dollar in settlement, saying at best it was worth less than $100,000. They were using a workers’ compensation mindset to evaluate the case. Because of FELA, John was compensated for his injury, his lost work and his pain and suffering. And the court gave the railroad an expensive lesson in protecting its workers. 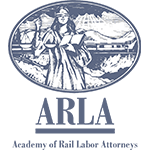 You can learn more about your rights under the law here in my blog post 10 Rights of Railroad Workers.